The X304 has four-wheel steering for superior maneuverability and tight trimming. It is a premium product at an attractive price that comes with a smooth-running V-twin iTorque™ Power System and easy-to-use Twin Touch™ hydrostatic transmission. 42-in. 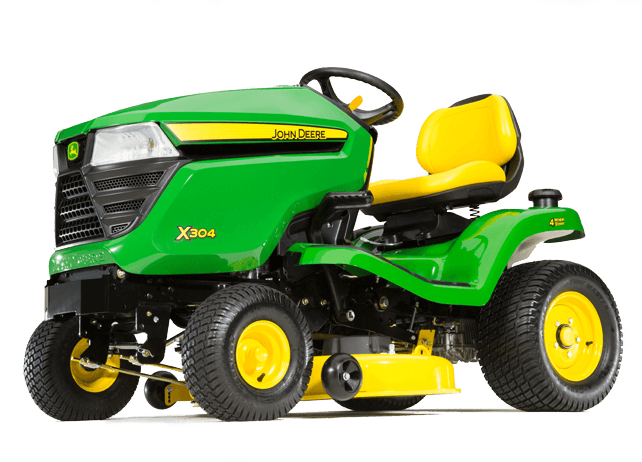 Edge™ Xtra deck (side-discharge mower) is included.